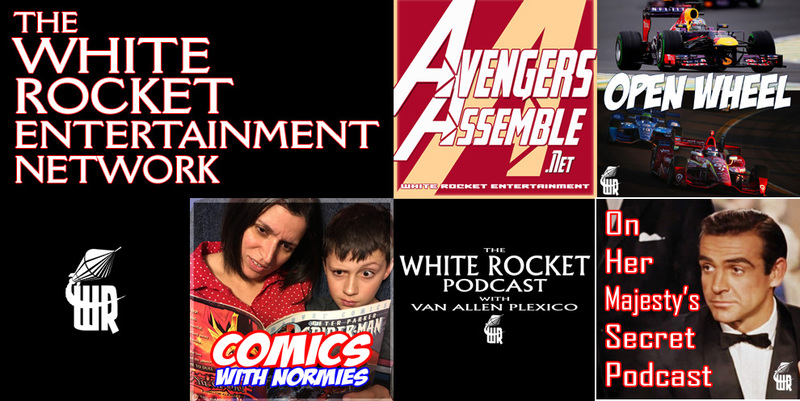 Jim Yelton joins Van to discuss what we've seen so far of the upcoming AVENGERS (4) ENDGAME and CAPTAIN MARVEL movies, and our expectations for those films. Van and Alan look back at the great 2018 seasons of Formula 1 and IndyCar as well as some talk of what to expect in 2019. Van is joined on the Military SF Media track at DragonCon 2018 by Andrew Gaska and Karen Henson (as well as a room full of fans) to discuss the 40th and 15th anniversaries of both versions of Battlestar Galactica. The original series debuted on September 17, 1978. Van joins track director Jennifer Liang on the High Fantasy track at DragonCon 2018 to discuss some of the many media adaptations of Beowulf, including the 13th Warrior movie and the animated version from Robert Zemekis and Neil Gaiman. Van sat down with the legendary Mike Baron to discuss his work on NEXUS, BADGER, the PUNISHER, FLASH, and his new novel series plus more. Van sat down with comics writer and new novelist Charles Soule in front of a live audience to discuss writing, comics and his new book, THE ORACLE YEAR. Part of Left Bank Books, Archon SF convention, and the St Louis Public Library's authors series. Van's instant take reactions to Avengers: Infinity War. Spoilers throughout! !